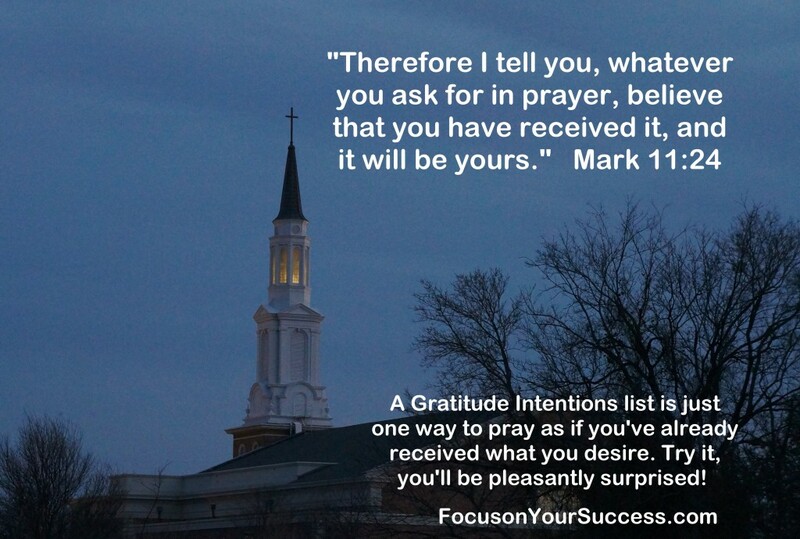 Using a Gratitude Intentions list is one of the easiest ways to “pray as if you’ve already received it”. You simply write as if you are expressing your joy for what you, with faith, expect to experience. We all have desires, because we think fulfilling those desires will make us feel better. When you write you Gratitude Intentions list with faith that you have the power to attract the great feelings you will experience once you have what you are focusing on, you should allow yourself to feel as good as if they already happened. In this way you are a match to attracting more people, situations and things that feel good! Some times you will attract exactly what you desire, other times it will be something even better. I usually say Shakti Gawain’s quote “This or something better now manifests for me in totally harmonious and satisfying ways for the highest good of all concerned” after I write my Gratitude Intentions list. This leaves me open for attracting whatever would feel good to me and also be in the best interest of all involved. 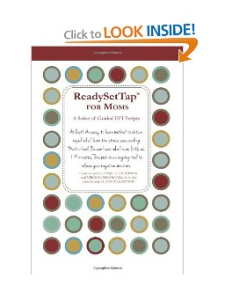 Start off small by writing two or three Gratitude Intentions lists a day, increasing to a minimum of 6 daily. You will feel better and be more of a match to attract more good feelings into your life.